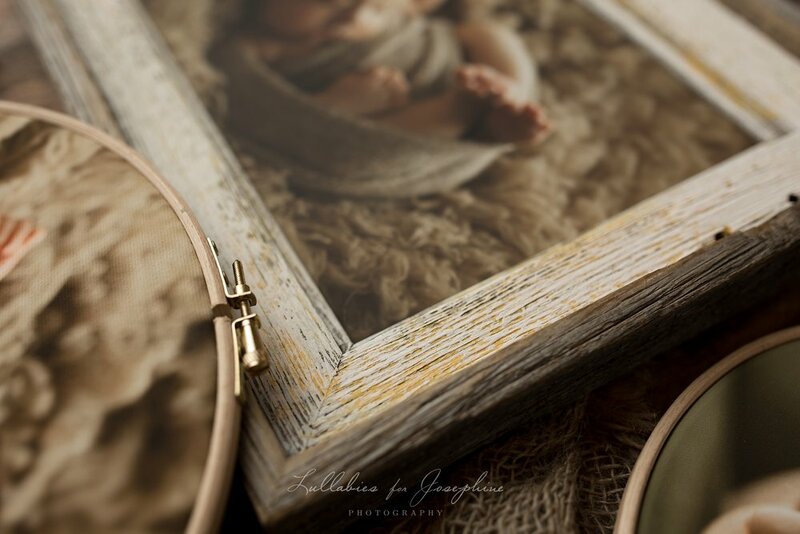 As a NJ newborn photographer we normally recommend moms to book as early as 2 months before their due date. This let us get prepared for the session as we often like to purchase new props for each session (Not that we have to but we normally have a weakness for cute little props!). We also plan around your due date knowing that we have about a 2 weeks window of the new baby arriving. But the reality is that things happen, especially for new parents and booking a newborn session is not at the top of the to-do list. So when moms contact me for a newborn session with a baby that is older than 4 weeks, I always suggest a Simply Baby session. This is a shorter session with baby wrapped the whole time. It helps soothing them and the session goes quicker. 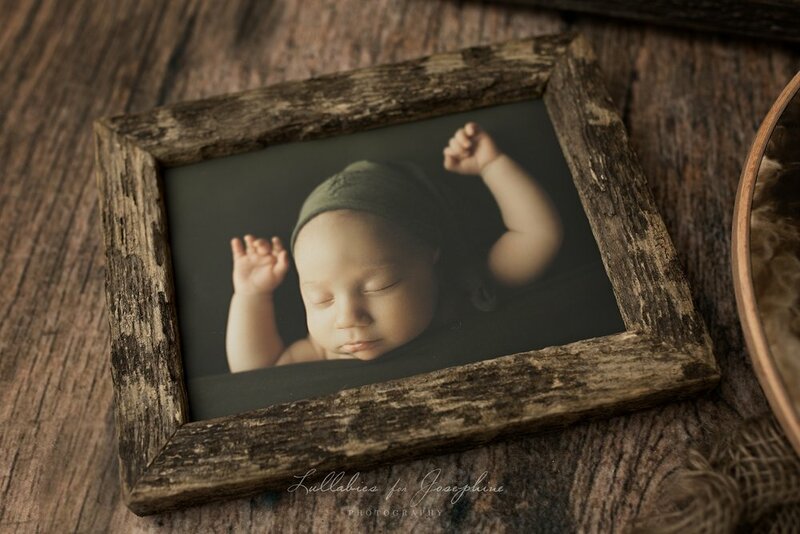 This way parents can still have those beautiful sleepy newborn photos that they love so much! Evan's mom contacted me when he was 5 weeks old and by the time we did the session he was close to 6. She agreed to go with the mini session and she told me she wanted neutral, green and blue colors. I was so excited to meet him! He is so adorable! It took him a little while to fall asleep and while I was swaddling him he kept pulling his arms out. Mom told me that was his favorite position. Once I knew this I let him get comfortable with his arms up in the air and he dozed off! This is one of my favorite set ups to date! This neutral set up is one of my favorites also! When a client hire my services. The not only hire me to deliver beautiful photos. They sign up a whole client experience and top notch customer service. I work closely with my clients and the best feeling in the world as an artist is to know that your clients feels proud to display your art on their walls. My goal is to create a legacy for generations to come. I handpicked the custom heirloom products I offer my clients and makes me happy to know they love them too! 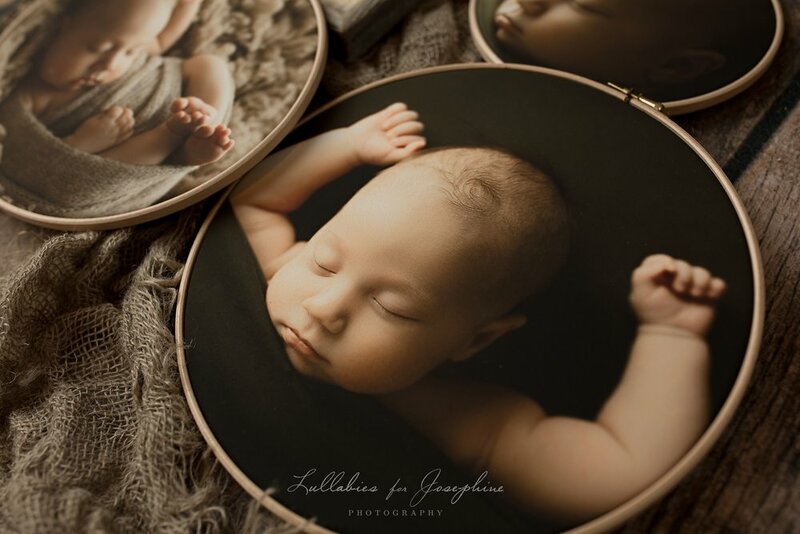 Evan's mom fell in love with the Heirloom Round canvas set and grandma went with 2 Rustic Framed Prints. Aren't they stunning? 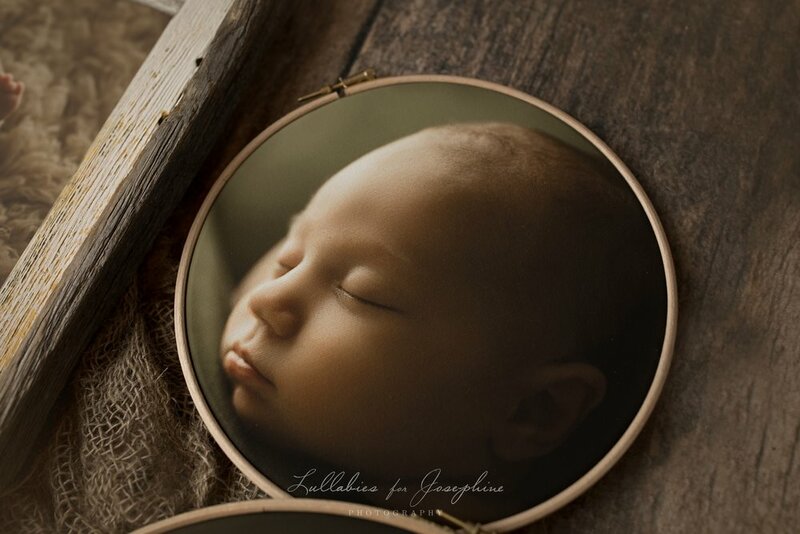 Lullabies for Josephine Photography is a full service studio located in Lincoln Park, NJ serving counties including but not limited to Morrris, Bergen, Passaic and Essex. If you would like to book a pre-session consultation or to receive more information about the booking process. Please contact me HERE.